Cardiff: Cardiff City manager Neil Warnock said the standard of officiating in the Premier League had gone backwards because former referee Mike Riley is at the helm of the body responsible for match officials in English football. Warnock was critical of the refereeing after Chelsea’s controversial 2-1 win over the weekend, in which Cesar Azpilicueta scored their equaliser from an offside position. The result left Warnock’s side five points from the safety zone. A number of other decisions did not go in Cardiff’s favour either, which left Warnock fuming on the touchline. The 70-year-old said referees would not change their outlook to the game, while Riley was in charge. “A lot of referees are like Mike Riley, and that’s why I think we have gone backwards,” Warnock told reporters on Tuesday. “I always thought Mike Riley was a manufactured referee from day one. Warnock was involved in what looked like a staredown in the centre circle with referee Craig Pawson and his assistants after the defeat by Chelsea but he was not sanctioned by the Football Association (FA) for his actions. “I cannot imagine why they would even think about a charge. 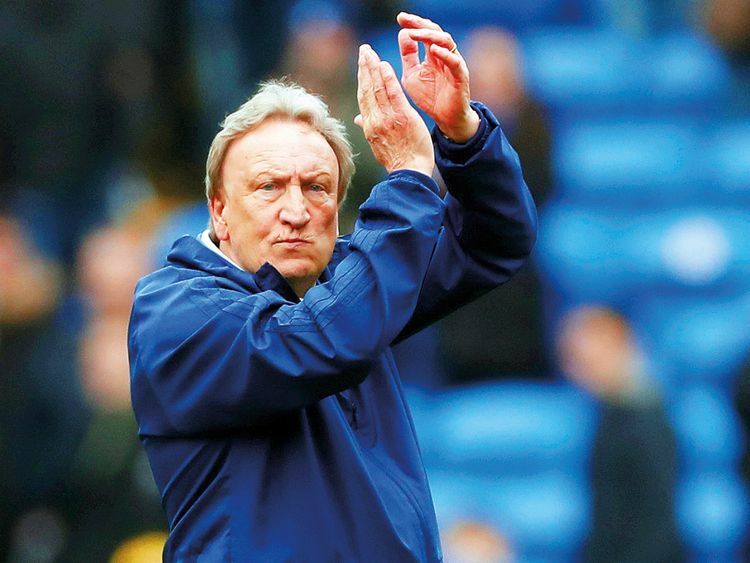 I’m not surprised about that if I am honest,” Warnock added. “As I always do after a home game, I go and clap the crowd. The officials have usually gone off by then but for whatever reason they did not seem to want to move. Manchester City will return to the top of the standings if they beat Cardiff on Wednesday and Warnock admitted City’s squad depth was too much for any of the bottom half clubs to handle. “I think they’ve got two teams in their squad and I doubt if any of our squad could get in either of them,” he said. “I doubt if anybody in the bottom half could get in either of them. The refeering body, the Professional Game Match Officials Ltd, could not immediately be reached for comment.